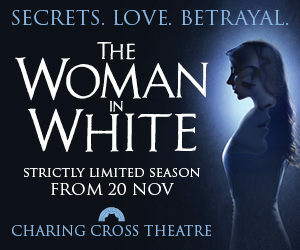 I’m excited to finally announce that I’ve been cast as Marian Halcombe in the first ever revival of Andrew Lloyd Webber’s The Woman in White, which opens at the Charing Cross Theatre in November. 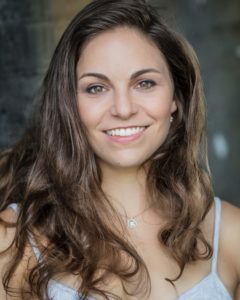 Directed by Thom Southerland, the production will also star Anna O’Byrne (The Phantom of the Opera) as Laura Fairlie alongside Chris Peluso (Miss Saigon) as Sir Percival Glyde, Ashley Stillburn (The Phantom of the Opera) as Walter Hartright, Greg Castiglioni (Titanic) as Count Fosco, and Sophie Reeves (Les Miserables) as Anne. With music by Lloyd Webber, lyrics by David Zippel, and a book by Charlotte Jones, The Woman in White is adapted from Wilkie Collins’ Victorian thriller about a man whose life is changed after a chance encounter with a mysterious woman. Walter Hartright, a young art teacher, encounters and gives directions to a mysterious and distressed woman dressed entirely in white, lost in London; he is later informed by policemen that she has escaped from an asylum. Soon afterward, he travels to Limmeridge House in Cumberland, having been hired as a drawing master on the recommendation of his friend, Pesca, an Italian language master. The Limmeridge household comprises the invalid Frederick Fairlie, and Walter’s students: Laura Fairlie, Mr. Fairlie’s niece, and Marian Halcombe, her devoted half-sister. Walter realizes that Laura bears an astonishing resemblance to the woman in white, who is known to the household by the name of Anne Catherick: a mentally disabled child who formerly lived near Limmeridge, and was devoted to Laura’s mother, who first dressed her in white. Over the next few months, Walter and Laura fall in love, despite Laura’s betrothal to Sir Percival Glyde, Baronet. Upon realizing this, Marian advises Walter to leave Limmeridge. Laura receives an anonymous letter warning her against marrying Glyde. Walter deduces that Anne has sent the letter and encounters her again in Cumberland; he becomes convinced that Glyde originally placed Anne in the asylum. Despite the misgivings of the family lawyer over the financial terms of the marriage settlement, which will give the entirety of Laura’s fortune to Glyde if she dies without leaving an heir, and Laura’s confession that she loves another man, Laura and Glyde marry in December 1849 and travel to Italy for six months. Concurrently, Walter joins an expedition to Honduras. After six months, Sir Percival and Lady Glyde return to his house, Blackwater Park in Hampshire; accompanied by Glyde’s friend, Count Fosco (married to Laura’s aunt). Marian, at Laura’s request, resides at Blackwater and learns that Glyde is in financial difficulties. Glyde attempts to bully Laura into signing a document that would allow him to use her marriage settlement of £20,000, which Laura refuses. Anne, who is now terminally ill, travels to Blackwater Park and contacts Laura, saying that she holds a secret that will ruin Glyde’s life. Before she can disclose the secret, Glyde discovers their communication and becomes extremely paranoid, believing Laura knows his secret and attempts to keep her held at Blackwater. With the problem of Laura’s refusal to give away her fortune and Anne’s knowledge of his secret, Fosco conspires to use the resemblance between Laura and Anne to exchange their two identities. The two will trick both individuals into traveling with them to London; Laura will be placed in an asylum under the identity of Anne, and Anne will be buried under the identity of Laura upon her imminent death. Marian overhears part of this plan but becomes soaked by rain, and contracts typhus. While Marian is ill, Laura is tricked into traveling to London, and the plan is accomplished. Anne Catherick succumbs to her illness and is buried as Laura, while Laura is drugged and conveyed to the asylum as Anne. When Marian visits the asylum, hoping to learn something from Anne, she finds Laura, who is dismissed as a deluded Anne when she claims to be Laura. Marian bribes the nurse, and Laura escapes. Walter has meanwhile returned from Honduras, and the three live incognito in London, formulating plans to restore Laura’s identity. During his research, Walter discovers Glyde’s secret; he was illegitimate, and therefore not entitled to inherit his title or property. In the belief that Walter has discovered or will discover his secret, Glyde attempts to incinerate the incriminating documents; but perishes in the flames. From Anne’s mother (Jane Catherick), Walter discovers that Anne never knew what Glyde’s secret was. She had only known that there was a secret around Glyde and had repeated words her mother had said in anger to threaten Glyde and then later got the idea into her head that she knew the secret. The reason that Glyde’s parents never got married was that his mother was already married to an Irish man, who left her. While he had no problem claiming the estate, he needed a marriage certificate between his parents to borrow money. So he went to a church in a village, where his parents had lived together and where the pastor, that had service there had died a long ago, and added a fake marriage into their church register. Mrs. Catherick had helped him getting access to the register and was awarded a golden watch with chain and an annual payment. With the death of Glyde, the trio is safe from persecution, but still, have no way of proving Laura’s true identity. Walter suspects that Anne died before Laura’s trip to London, and proof of this would prove their story, but only Fosco holds knowledge of the dates. Walter figures out from a letter he got from Mrs. Catherick’s former employer, that Anne was the illegitimate child of Laura’s father. On a visit to the Opera with Pesca, he learns that Fosco has betrayed an Italian nationalist society, of which Pesca is a high-ranking member. When Fosco prepares to flee the country, Walter forces a written confession from him, by which Laura’s identity is legally restored, in exchange for a safe-conduct from England. Laura’s identity is restored and the inscription on her gravestone replaced by that of Anne Catherick. Fosco escapes, only to be killed by another agent of the society. To ensure the legitimacy of his efforts on her part, Walter and Laura have married earlier; and on the death of Frederick Fairlie, their son inherits Limmeridge. Acclaimed rising star director Thom Southerland (Titanic, Grey Gardens, Grand Hotel) is to direct the first ever revival of Andrew Lloyd Webber’s Tony and Olivier Award-nominated musical The Woman in White. Hi Carolyn, I’m so looking for to seeing you in this. I saw you in Kiss me Kate and Miss Siagon and you were great then, so this should be amazing. I hope you enjoyed it as much as I enjoyed doing it!